1. GRANT OF LICENSE. Sony hereby grants you a limited, non-exclusive license to use the Software on one (1) computer at a time upon the terms and conditions set forth in this Agreement. In the event your Software title is also equipped with a Software application-related network renderer (with which you can render projects on additional computer(s)) (each a “Renderer”), Sony hereby grants you a limited, non-exclusive license to use such Renderer(s) on up to two (2) additional computers at a time, solely in connection with the use of Software on a single computer and subject to the terms and conditions set forth in this Agreement. Sony reserves all rights in and to the Software and the Renderer(s) not otherwise granted in this Agreement. 2. RESTRICTIONS ON USE. You may not: (a) use the Software on more than one computer at a time without purchasing additional licenses, (b) copy the Software (except for one (1) back-up copy), (c) distribute, share, sublicense, lend, lease or otherwise make the Software available to any third party (on the Internet, an information network or tangible media, by broadcast or in any other manner), (d) modify, adapt, create derivative works from or translate any part of the Software, (e) reverse engineer, decompile or disassemble the Software or otherwise attempt to obtain its source code, (f) remove or alter any copyright, trademark or other proprietary notice contained in the Software, or (g) use the Software in any manner not set forth in this Agreement or in the Software's documentation. Respecting your rights in and to the Renderer(s), you may not: (a) use the Renderer(s) on more than two (2) computers at a time and only if a copy of its associated Software title is validly and legally in use on a single computer, (b) copy the Renderer(s), (c) sublicense, lend, lease or otherwise make the Renderer available to any third party (on the Internet or tangible media, by broadcast or in any other manner), (d) modify, adapt or translate any part of the Renderer(s), (e) reverse engineer, decompile or disassemble the Renderer(s) or otherwise attempt to obtain its source code, (f) remove or alter any copyright, trademark or other proprietary notice contained in the Renderer(s), or (g) use the Renderer(s) in any manner not set forth in this Agreement or in the Software’s documentation. For the purposes of this Agreement, the definition of “Software” shall hereafter also mean and refer to the Renderer(s). 4. OWNERSHIP OF SOFTWARE. The Software contains copyrighted material, trademarks and other intellectual property that is provided by and belongs to third parties ("Third Party Providers"). Sony and the Third Party Providers own and will retain all title, ownership rights and intellectual property rights in and to the Software. 5. ASSIGNMENT. You may assign the Software to a third party only if they agree to be bound by the terms and conditions of this Agreement. If you assign the Software, your rights under this Agreement will terminate immediately and you must: (a) cease all use of the Software, (b) permanently delete all copies of the Software from the computer on which it has been installed, and (c) deliver the original Software to the transferee, You may not retain the original or any copies of the Software. 6. TERMINATION. Your right to use the Software will automatically terminate if you fail to comply with any provision of this Agreement. If this Agreement is terminated you must: (a) cease all use of the Software, (b) destroy the original and all copies of the Software, and (c) permanently delete all copies of the Software from the computer on which it has been installed. 7. DISCLAIMER OF WARRANTIES. EXCEPT FOR THE LIMITED WARRANTY PROVIDED ABOVE, THE SOFTWARE IS PROVIDED "AS IS." TO THE FULL EXTENT PERMITTED BY APPLICABLE LOCAL LAW, SONY AND THE THIRD PARTY PROVIDERS DISCLAIM ALL OTHER WARRANTIES, REPRESENTATIONS AND CONDITIONS, EXPRESS OR IMPLIED, INCLUDING, BUT NOT LIMITED TO, THE IMPLIED WARRANTIES, REPRESENTATIONS AND CONDITIONS OF MERCHANTABILITY, FITNESS FOR A PARTICULAR PURPOSE AND NON-INFRINGEMENT. NO ORAL OR WRITTEN INFORMATION OR ADVICE GIVEN BY SONY OR A SONY AUTHORIZED REPRESENTATIVE SHALL CREATE A WARRANTY. WITHOUT LIMITION OF THE FOREGOING, SONY AND THE THIRD PARTY PROVIDERS DO NOT WARRANT THAT: (a) THE SOFTWARE WILL BE ERROR-FREE, (b) YOUR USE OF THE SOFTWARE WILL BE UNINTERRUPTED OR ERROR-FREE, (c) THE SOFTWARE WILL MEET YOUR REQUIREMENTS, OR (d) THE SOFTWARE WILL OPERATE WITH THE HARDWARE OR SOFTWARE CONFIGURATION YOU CHOOSE. 8. LIMITATIONS ON LIABILITY. IN NO EVENT WILL SONY'S, SONY'S AFFILIATES OR THE THIRD PARTY PROVIDERS' LIABILITY TO YOU OR ANY THIRD PARTY EXCEED THE PRICE PAID BY YOU FOR THE SOFTWARE. 9. EXCLUSION OF REMEDIES. WITHOUT LIMITING ANY OF THE DISCLAIMERS OR LIMITATIONS SET FORTH IN PARAGRAPHS 8 AND 9, ABOVE, IN NO EVENT WILL SONY, SONY'S AFFILIATES OR THE THIRD PARTY PROVIDERS BE LIABLE TO YOU OR ANYONE ELSE FOR ANY INDIRECT, SPECIAL, INCIDENTAL, PUNITIVE OR CONSEQUENTIAL DAMAGES OF ANY KIND ARISING OUT OF YOUR USE OR INABILITY TO USE THE SOFTWARE (INCLUDING, WITHOUT LIMITATION, LOSS OF PROFITS, REVENUE, USE OF SOFTWARE OR ANY ASSOCIATED HARDWARE OR SOFTWARE, DATA OR GOODWILL), EVEN IF SUCH PARTIES HAVE BEEN ADVISED OF THE POSSIBILITY OF SUCH DAMAGES. 11. EXPORT RESTRICTIONS. You agree that you will comply with all applicable export laws, restrictions and regulations of the U.S. Department of Commerce, the U.S. Department of Treasury and any other U.S. or foreign agency or authority. You agree not to export or re-export, or allow the export or re-export of the Software in violation of any such law, restriction or regulation, including, without limitation, export or re-export to Cuba, Iran, Iraq, Libya, North Korea, Sudan, Syria or any other country subject to applicable U.S. trade embargoes, or to any party on the U.S. Export Administration Table of Denial Orders or the U.S. Department of Treasury List of Specially Designated Nationals and Blocked Persons, or to any prohibited destination in any of the Country Groups specified in the then current Supplement No. 1 to Part 740 or the Commerce Control List specified in the then current Supplement No. 1 to Part 738 of the U.S. Export Administration Regulations (or any successor supplement or regulations). 12. U.S. GOVERNMENT END-USERS. The Software is licensed to the U.S. Government with RESTRICTED RIGHTS. Use, duplication or disclosure by the U.S. Government is subject to restrictions as set forth in the Rights in Technical Data and Computer Software clause at DFARS 252.227-7013 and the Commercial Computer Software clause at 48 CFR 52.227-19, as applicable. 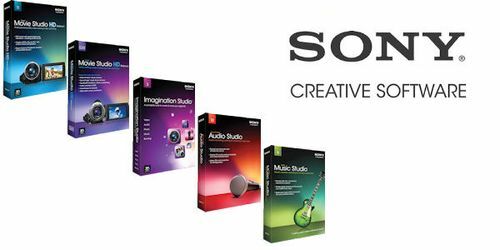 Contractor/manufacturer is Sony Creative Software Inc., 6080 Center Drive, 10th Floor, Los Angeles, California, 90045. 13. UPDATES. Sony may from time to time make available to you updates for the Software, subject to the terms and conditions of this Agreement, or, in Sony’s sole discretion, Sony may make conditional release of such upgrades to you upon your acceptance of another EULA or other execution of a separate agreement. If you should elect to install updates, your use of such updates will be subject to the applicable license and the terms and conditions of this Agreement. 14. MISCELLANEOUS. This Agreement will be binding upon and inure to the benefit of Sony and you, and our respective successors and permitted assigns. If any provision of this Agreement is determined to be invalid or unenforceable, such determination will not affect the validity or enforceability of any other provision of this Agreement. Any waiver of any breach or failure to enforce any provision of this Agreement will not be deemed a future waiver of such term or a waiver of any other provision. Any waiver, amendment or modification of any provision of this Agreement will be effective only if it is in writing and signed by Sony and you. This Agreement shall be governed by the laws of the United States and the State of California, irrespective of California's conflicts of laws rules. Any action arising out of or relating to this Agreement may be brought exclusively in the appropriate state or federal court in Los Angeles, California, and Sony and you irrevocably consent to the jurisdiction of such courts and venue in Los Angeles County, California. This Agreement constitutes the entire agreement between Sony and you with respect to the subject matter of this Agreement. Sections 7 through 10, 13 and 14 will survive the termination of this Agreement. (a)The Software contains software from Gracenote, Inc. of Emeryville, California ("Gracenote"). The software from Gracenote (the "Gracenote Client") enables this application to do online disc identification and obtain music-related information, including name, artist, track, and title information ("Gracenote Data") from online servers ("Gracenote Servers") and to perform other functions. You may use Gracenote Data only by means of the intended End-User functions of the Software. Qualified customers can receive special academic pricing on our software products. To receive special pricing, you must be a qualified student, faculty member, staff member, or an accredited institution. You will need to provide proof of your academic status to the reseller!. College Students: Matriculating college, university, and career school students qualify for academic pricing. K-12 Students: Currently enrolled K-12 students qualify for academic pricing. Faculty/Staff: K-12 and all post-secondary faculty and staff members qualify for academic pricing. Non-Profit Organizations: Available to organization (not individuals). Note: For K-12 a letter from school on school letterhead is also required.